Get your work space in-line with Proslat's Organizer Kit. This is the perfect combination of accessories for cabinet back splashes, with magnetic tools holders, a shelf & paper towel holder and 3 coat hooks. Wall Storage Solutions - Organizer Kit - 6 Pieces Get your work space in-line with Proslat's Organizer Kit. 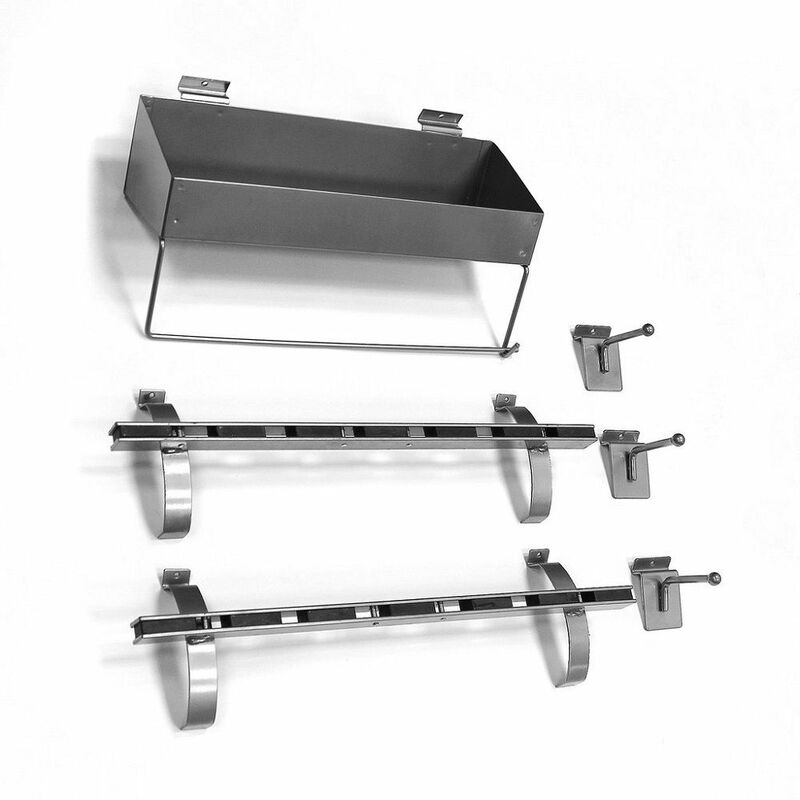 This is the perfect combination of accessories for cabinet back splashes, with magnetic tools holders, a shelf & paper towel holder and 3 coat hooks.